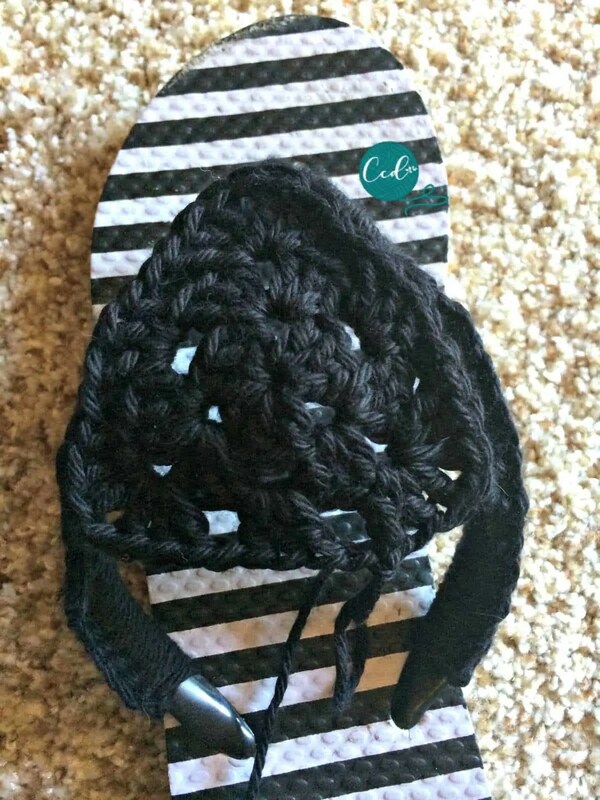 To create these crochet sandals, I snagged a cheapie pair of flip flops from HEB, one of my favorite Texas grocery stores. They only cost $2! 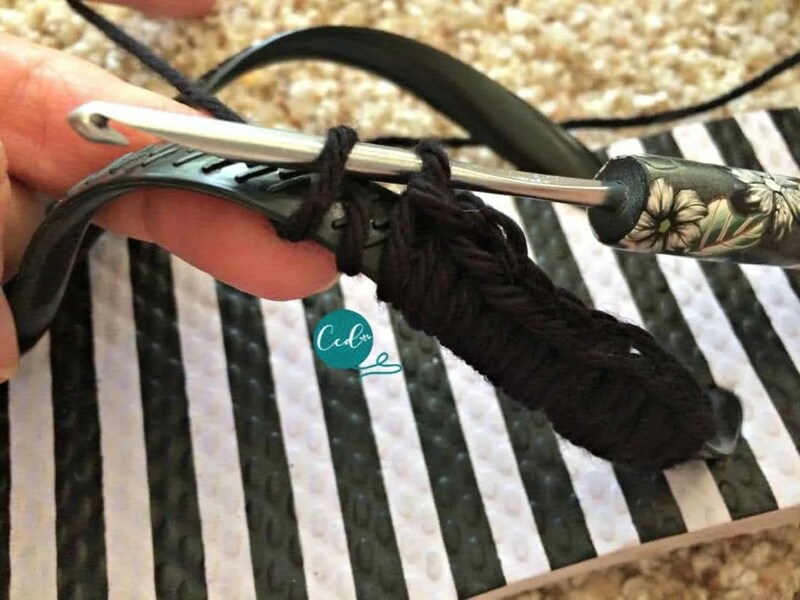 My niece mentioned that she needed new flip flops. 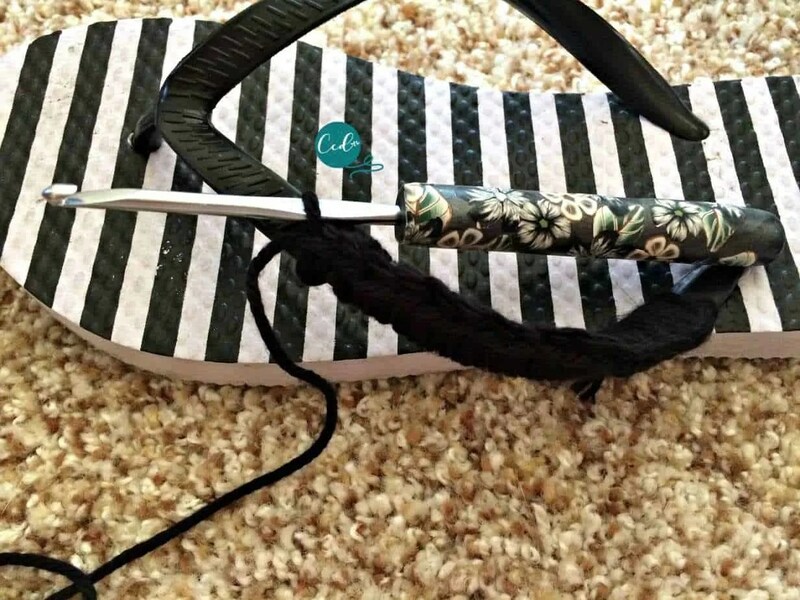 She’s also learning to crochet so I knew she would appreciate a pair of crochet sandals. She was so excited to wear them that she couldn’t wait for me to finish them. She wore one plain and one finished, haha. 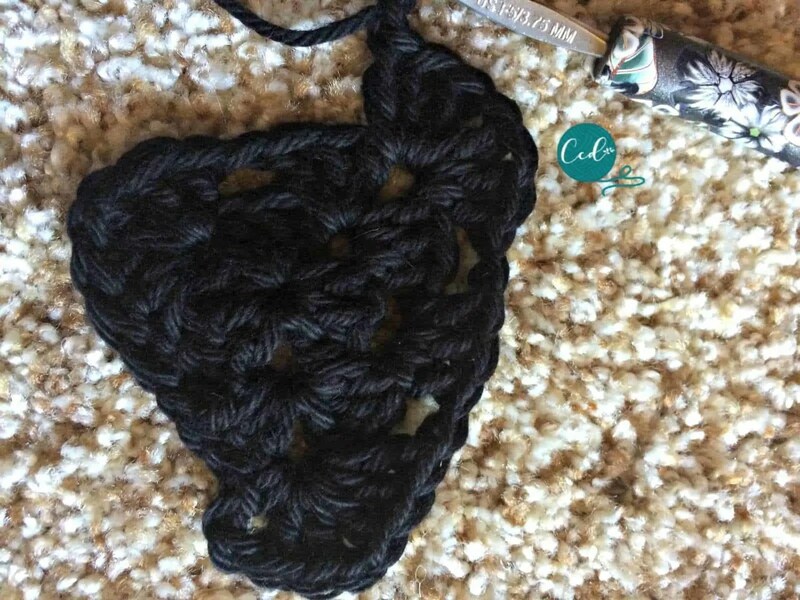 I wish everyone showed such excitement for handmade gifts. 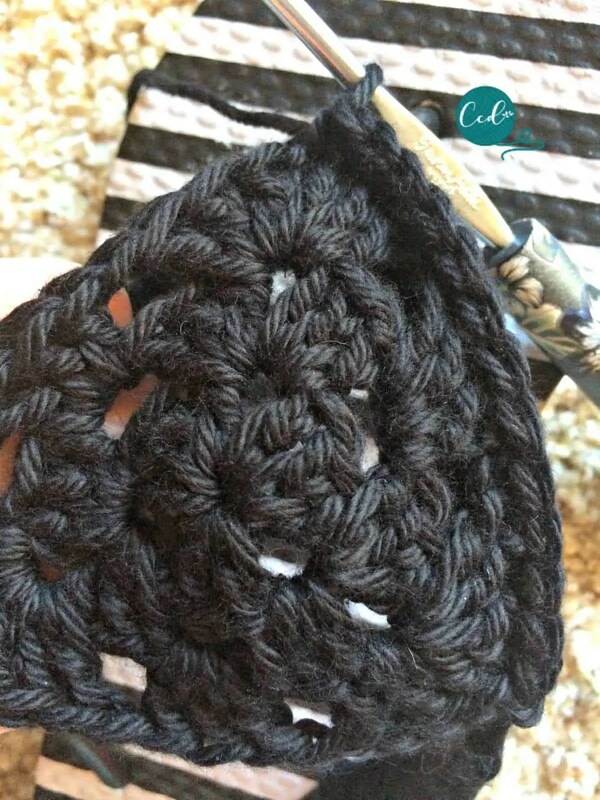 This is a great beginner pattern if you’re new to crochet. 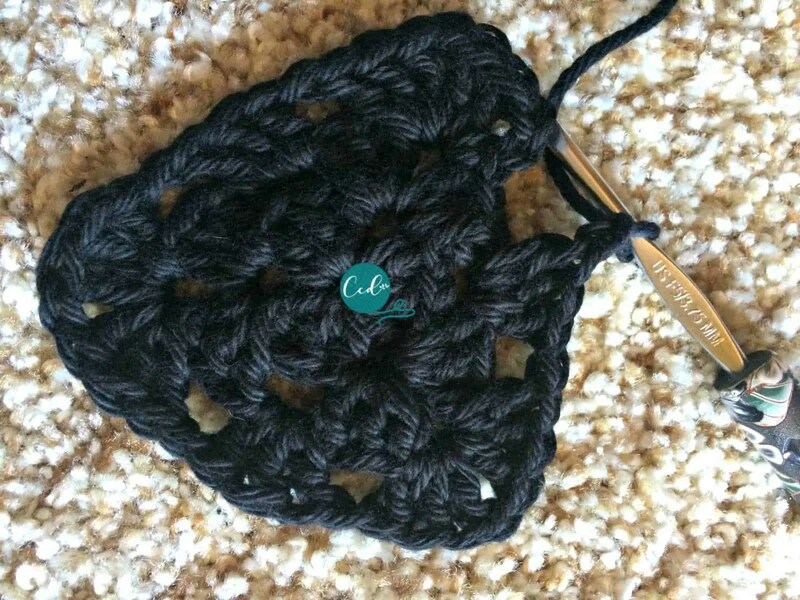 It’s a basic granny triangle attached with single crochet stitches to a pair of flip flops. 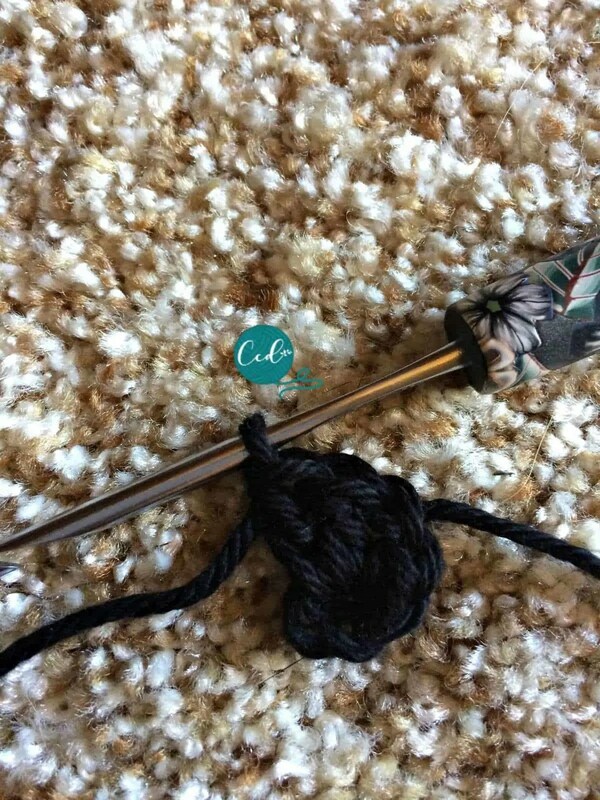 Easy peasy for everyone, read on for the full tutorial. 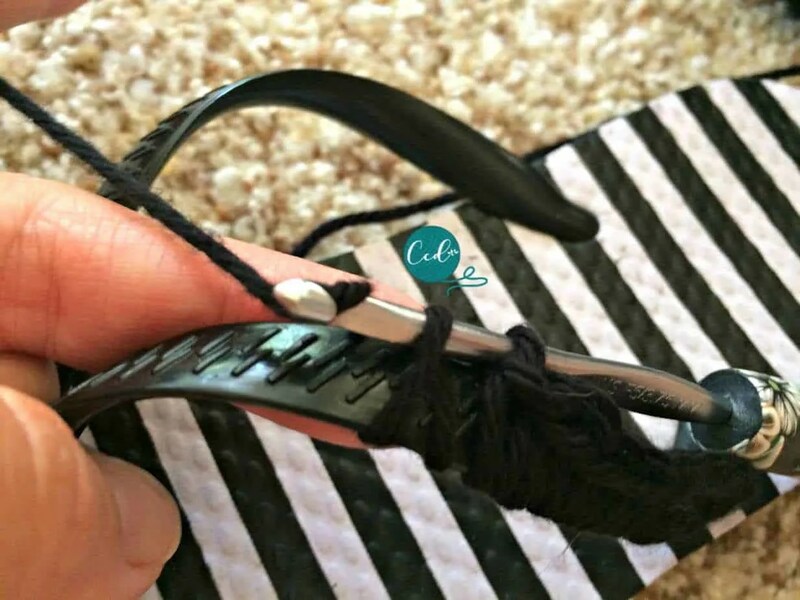 Start with a slip stitch on your hook and slip stitch onto your sandal straps. SC around the straps. 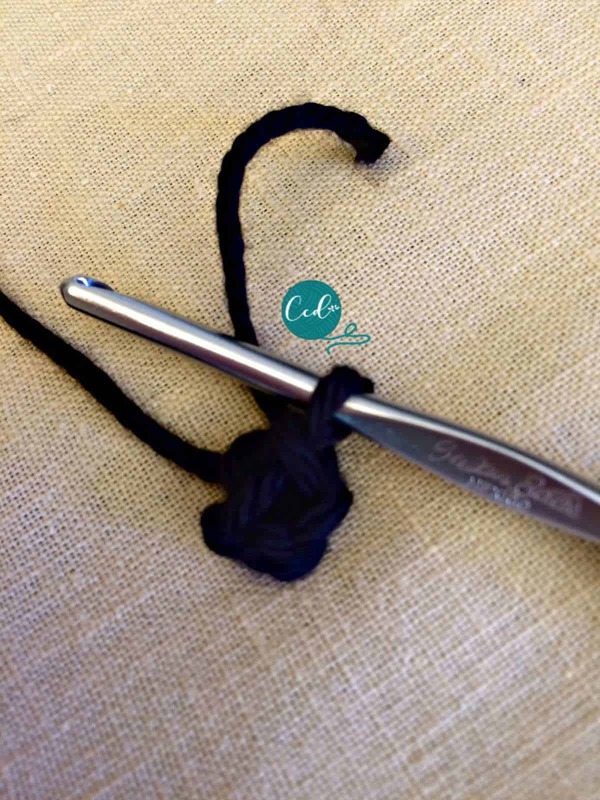 Push and slide the stitches down as you go to keep them close together, not bunched, but close. I added a slip stitch around the center toe piece to secure it a bit more before continuing to sc around the other side. Finish off. 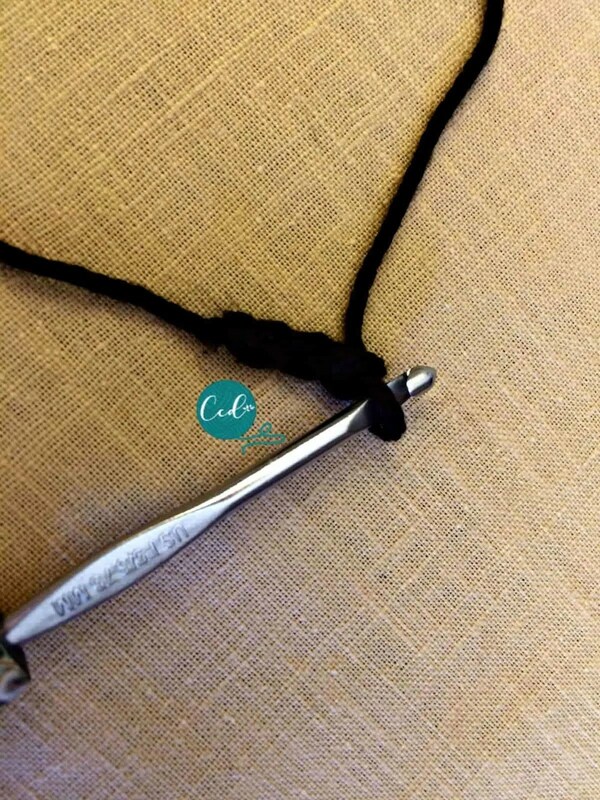 Start with a slip stitch & chain 3. 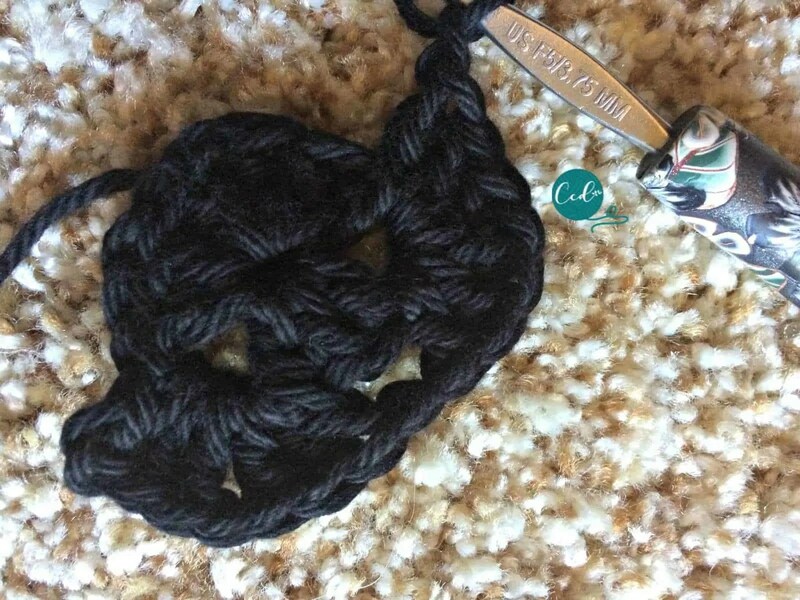 Slip stitch to first chain. 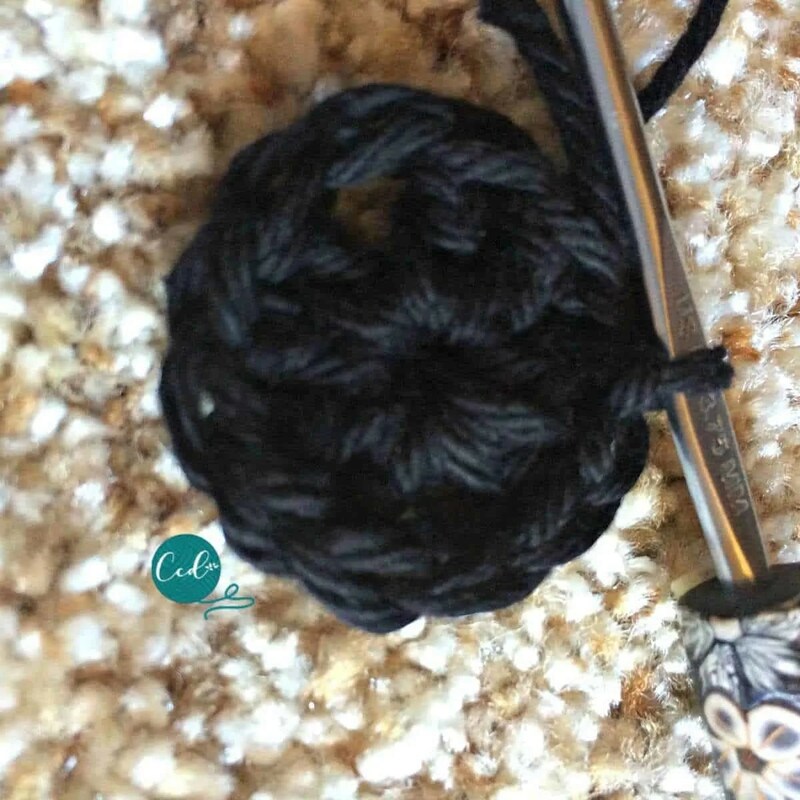 You will crochet into the circle formed here. DC 3 into the circle, ch.1 & join to 3rd chain of the beginning Ch. 3. 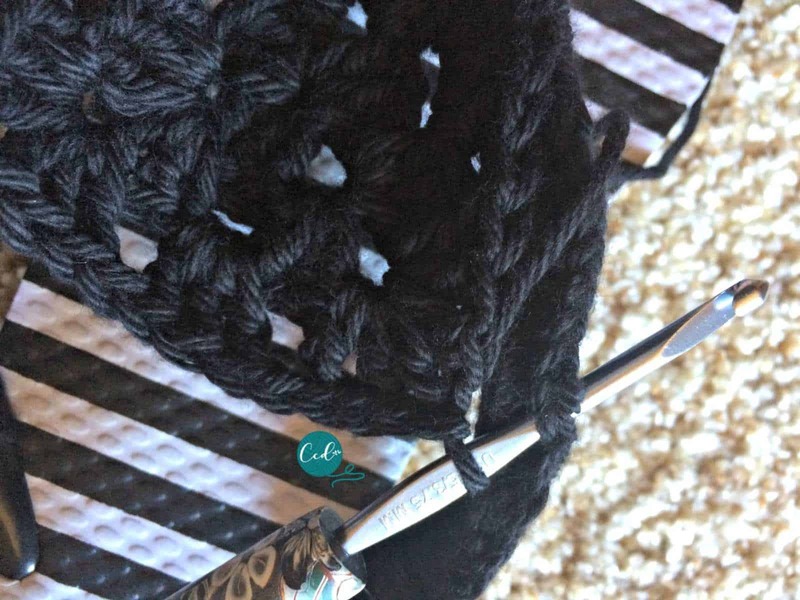 Slip stitch over to next ch. 1 space & DC 3, ch.1, DC 3 into that space. 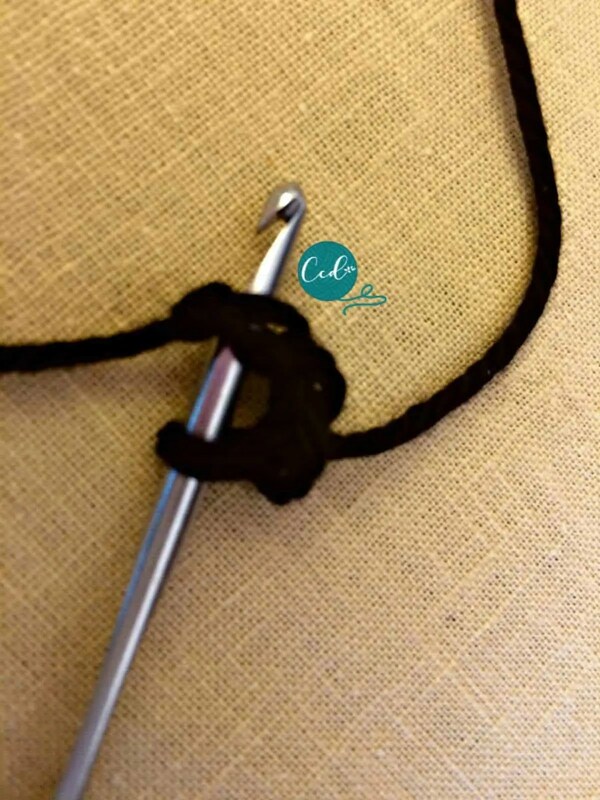 Into last chain space DC 3, ch.1, DC3, ch.1 & join to 3rd chain of 1st stitch. This forms the 3 corners of your triangle. 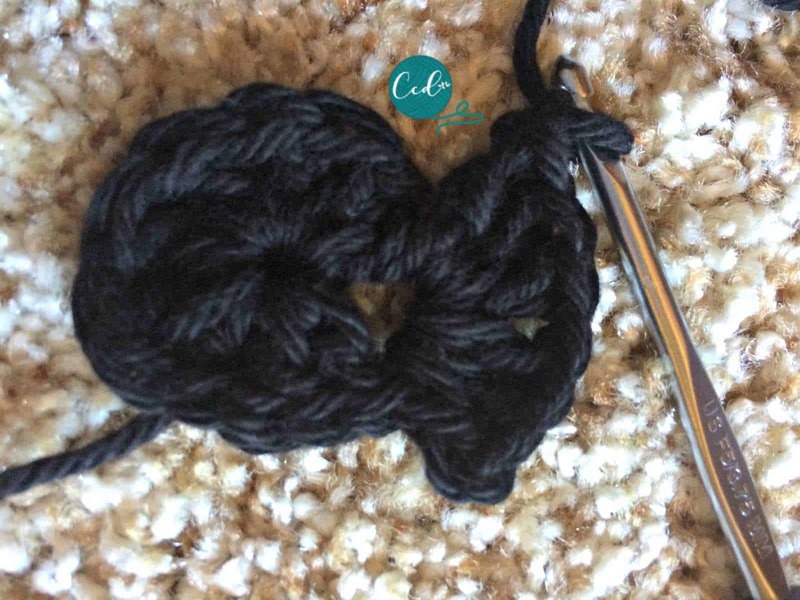 On the next round, slip stitch to the next chain space. 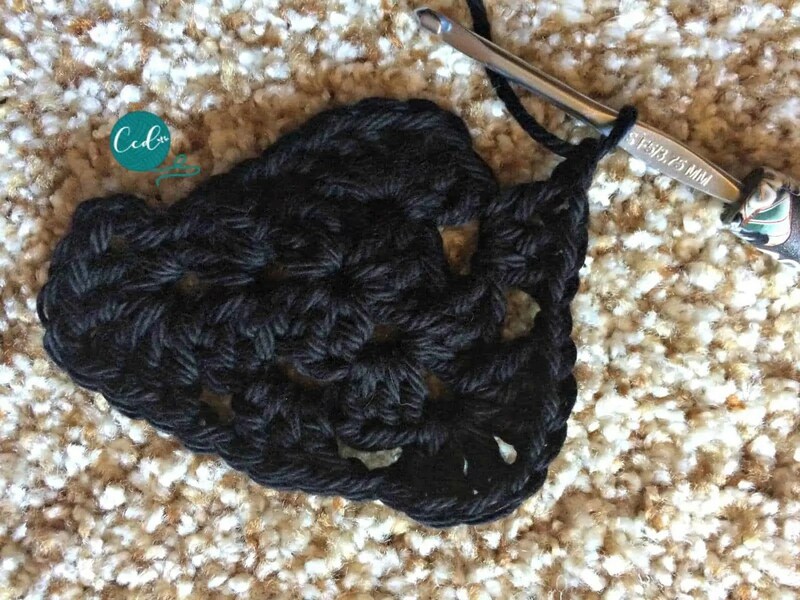 To finish your granny triangle slip stitch to the top of the 3rd chain from the beginning of the round. 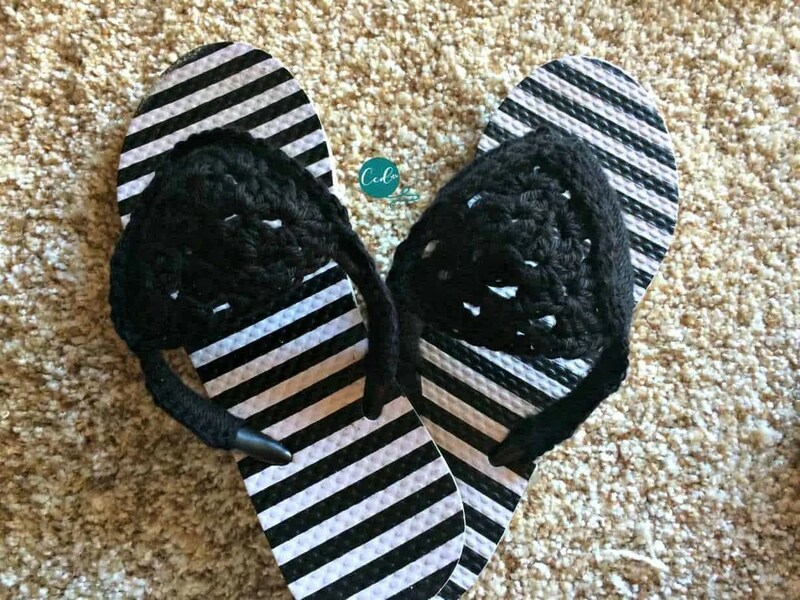 My sandals were crocheted for my niece so they were womens’ size 5-6. 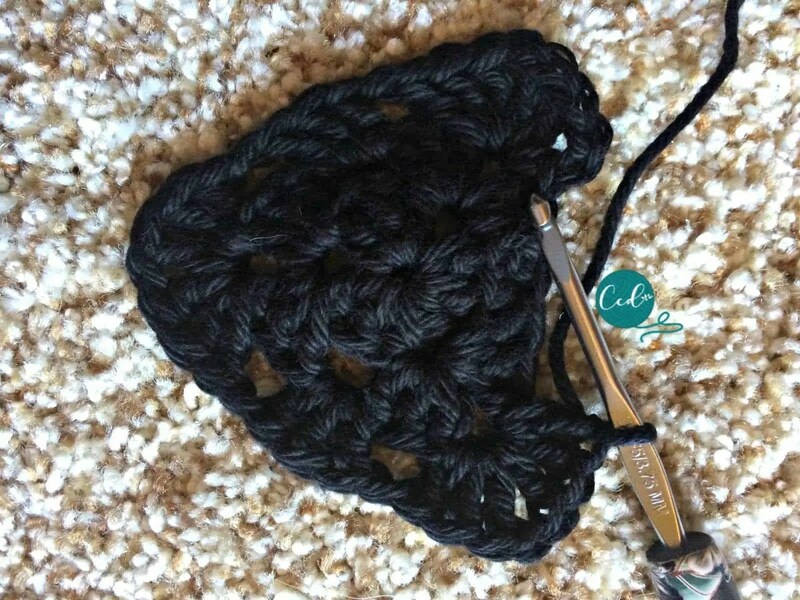 So this granny triangle was perfect for these crochet sandals. For larger sizes you might need another round, just follow the pattern of DC3, ch.1, DC3 for the corners and DC3, ch.1 on the side chain spaces. 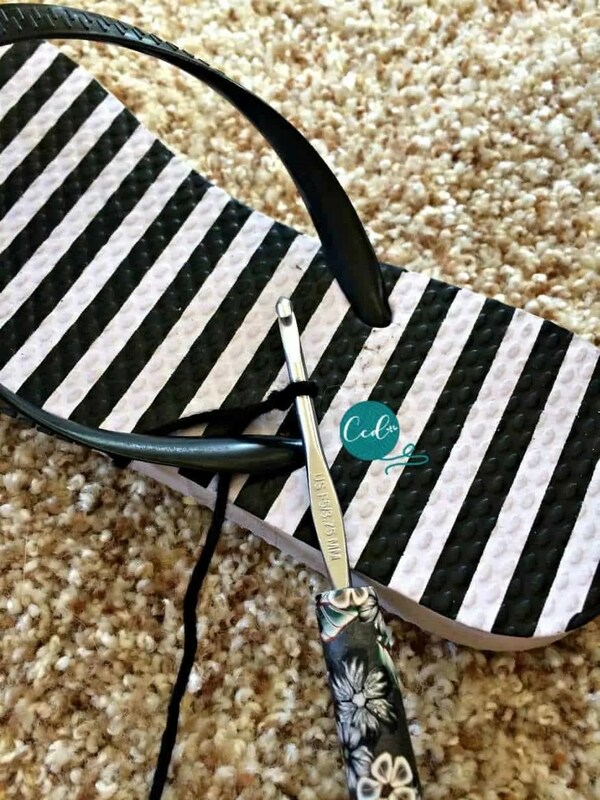 When your granny triangle is as large as needed, line up the top corner of your triangle with the top toe piece of your sandals to check fit. 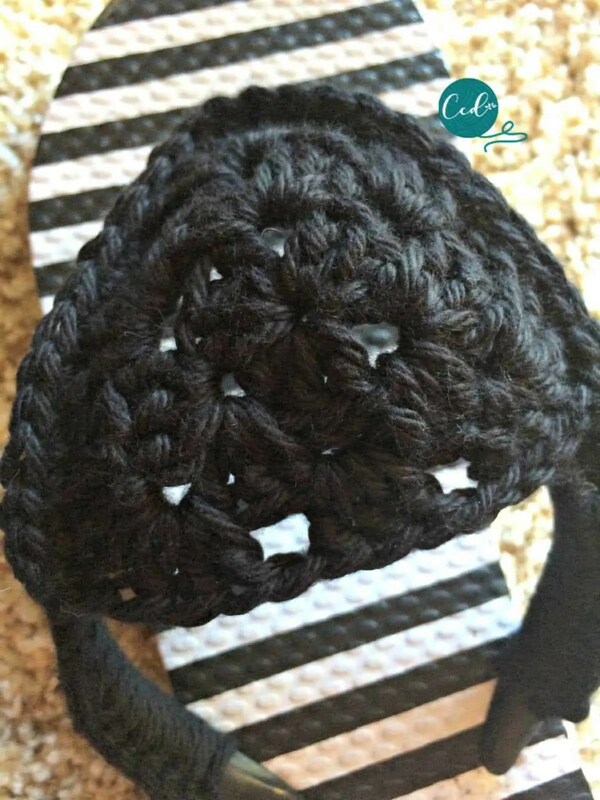 Start from the bottom left corner of your granny and sc the triangle to the straps. If your model is available check sizing and fit. 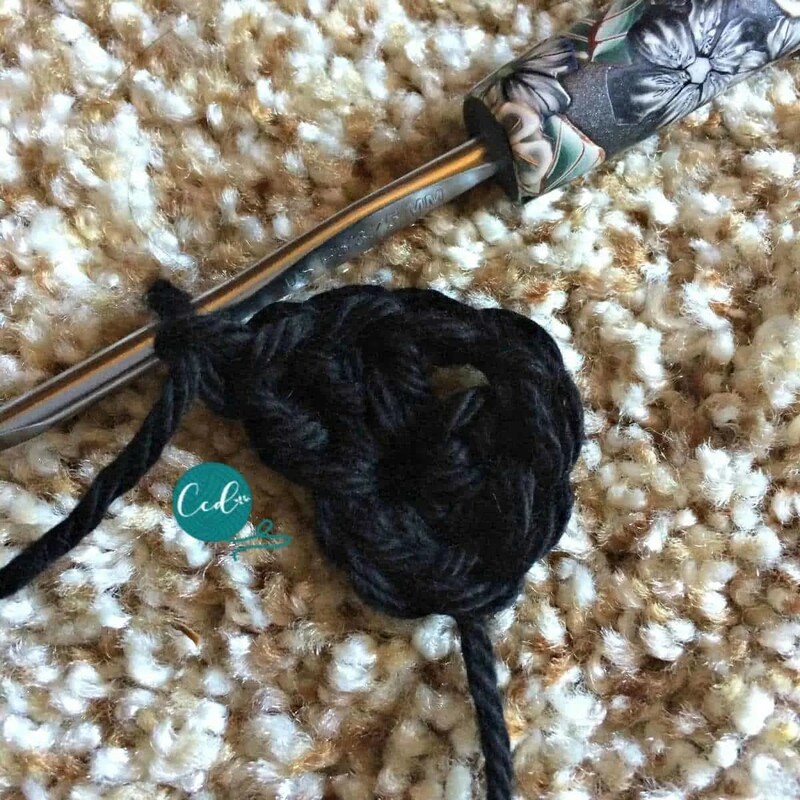 Yarn stretches so you don’t want them to be too loose. Now repeat for the other one and eccola! 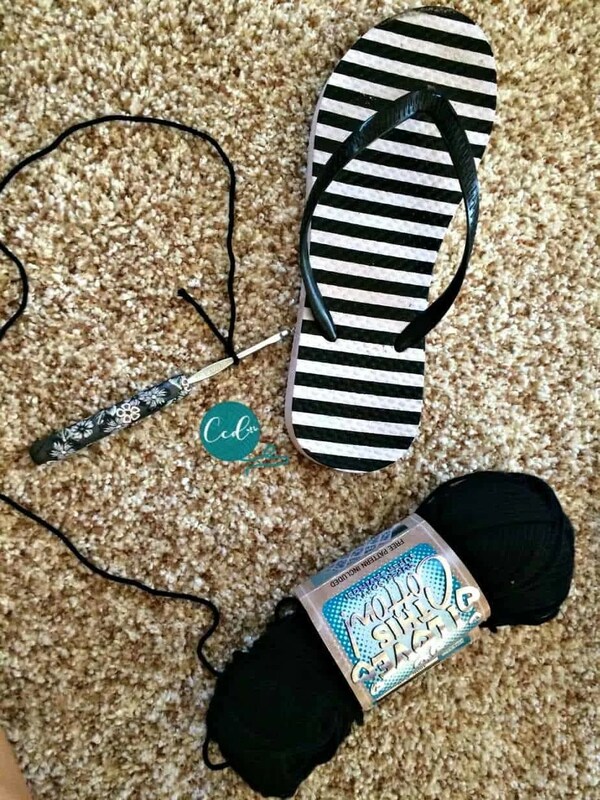 Crochet sandals for your summer fun! 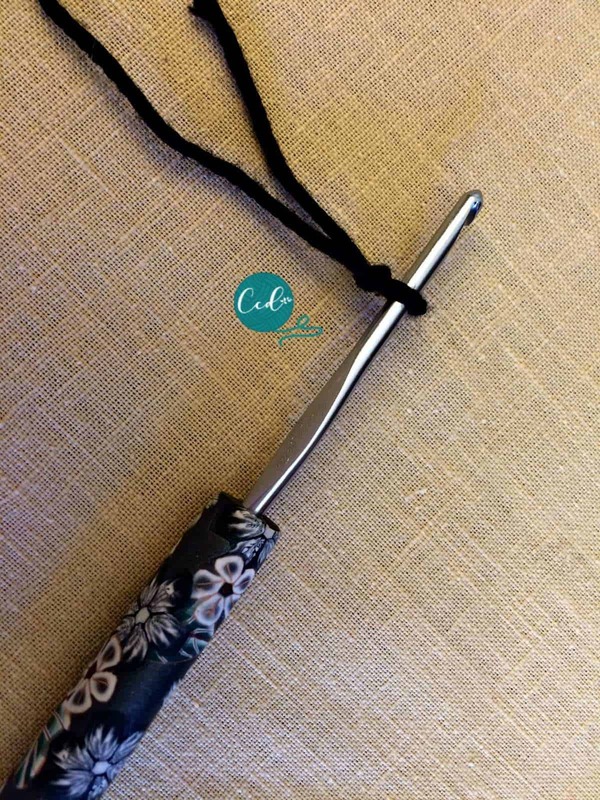 These would be stunning with a few color changes on the granny rounds. As I mentioned above, my niece just couldn’t wait, so I didn’t play around with the design too much!